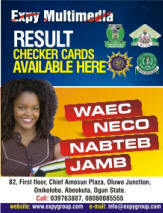 Moshood Abiola Polytechnic, Abeokuta dates for entrance examination into HND FULL-TIME AND PART-TIME, ND PART-TIME AND THE REMAINING ND FULL-TIME CANDIDATES IS FRIDAY 10TH – SATURDAY 11TH OCTOBER, 2014. 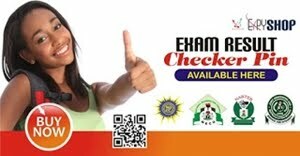 The mandatory entrance examination which holds on the 10th and 11th of October, 2014 is for candidates who must have obtained the ND or HND Application forms and the entrance screening Form. Candidates are expected to check for their examination schedule by clicking here and come with the print-out of both the application and entrance screening forms for the examination. i.The online registration photo card . ii.Adding machine(Scientific Calculators will not be allowed). 3. PLEASE NOTE THAT MOBILE PHONES AND SOPHISTICATED CALCULATORS WILL NOT BE ALLOWED all National Diploma Part-Time and Higher National Diploma, Full-Time and Part-Time Programmes of the Institution. Also Note that the Polytechnic has given Friday, 17th October, 2014 as deadline for the payment of acceptance fee for all candidates who have been offered provisional admission into the Polytechnic’s Full-Time National Diploma Programmes. The Friday, 17th October deadline affects all candidates who have accepted the admission offer. 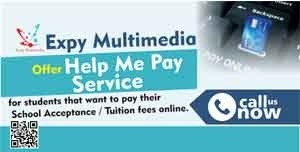 Candidates should visit www.mapoly.edu.ng and make a payment of Twenty-Five Thousand, Five Hundred Naira (N25,500.00) only via cash/debit ATM Cards from any bank of their choice.